The use of the right polishing compound optimises the machining of workpieces with regard to quality and costs. To make an optimal polishing process possible, the optimal required quantity of polishing compound must be determined – usually by trial. Brush and polishing compounds are used with sisal cord brushes and polishing wheels for the finishing of various materials. To give workpieces a high polish, the correct polishing tool and a polishing compound tailored to the purpose must be used. As a rule, a distinction is made between solid and liquid polishing compound. The polishing compound is applied to the polishing tool (polishing wheel, polishing ring, etc.). The heat generated by the friction from the pressure applied to the rotating polishing tool melts the solid polishing compound so that these have no problem adhering to the polishing tool. With the liquid polishing compound this procedure is easier because of the liquid state, so that the polishing tool can be injected with the assistance of a sprayer. 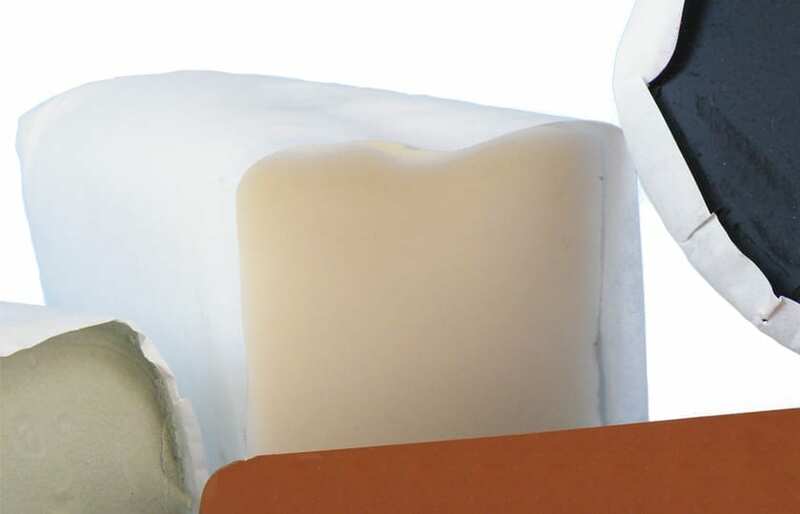 Solid polishing compounds will be produced in bars of approx. 140 x 70 x 50 mm.